Blackboard Learn will be unavailable on Thursday evening. 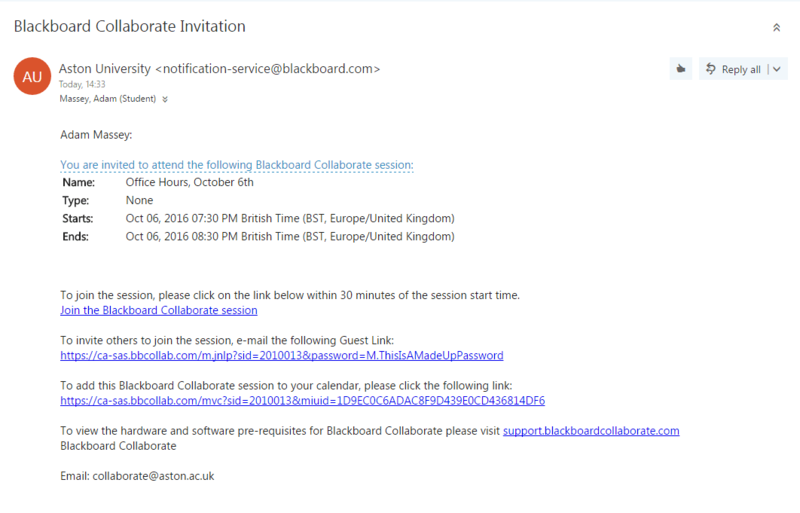 Copy the link underneath the heading ‘To invite others to join the session…’, and distribute this to your students (eg via a Blackboard announcement which is sent via an email) so they can join the session. Do not share the link underneath ‘To join the session…’ – this link is specific to you. If you have any questions, email collaborate@aston.ac.uk.